You encounter any or all of these views if you talk to people the day after the festival. The fact is that though most Jews keep Rosh HaShanah (at least the first day) and Yom Kippur, only a minority bother with Sukkot and less than half keep Simchat Torah. There may be two extra factors about Simchat Torah – some people come specially because it tends to be light-hearted, whilst others deliberately stay away because of the noise and length of the service. 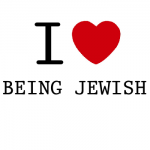 The really important thing is to say to yourself, “Jewishness is part of my being, even if I don’t keep everything scrupulously. I really should spend a bit more time this year in becoming more knowledgeable as a Jew and even in trying out some of the practices that have never been part of my Jewish consciousness.”.